Low temperature records were broken across the U.S. Tuesday as the polar vortex sent temperatures plummeting below freezing for most of the country. NBC News reports that all states but Hawaii had locations clocking in below 32 degrees, a reality witnessed by millions of people swaddled in protective layers, thousands of canceled flights and social media timelines flooded with pictures and comments documenting the brutal temperatures. The extremely cold temperatures were responsible for a host of new record lows in cities nationwide on Tuesday. Though they aren’t all-time lows for all the cities, we’ve gathered 15 states that saw new record lows set for the date of Jan. 7. 1. Akron, Ohio, saw the previous record low of -5 degrees dip all the way to -11 degrees. 2. Baltimore, Md., witnessed a four degree drop from its previous record low of 8 degrees, reports USA Today. 3. Birmingham, Ala., dipped to a low of 7 degrees, breaking the previous record of 11 degrees. 4. Blacksburg, Va., moved from a previous low of 1 degree to -5 degrees. 5. Bluefield, W.Va., saw some of Tuesday’s harshest temps with a new low of -8 degrees from the previous record low of 0 degrees. 6. Charlotte, N.C., reached a low of 4 degrees. 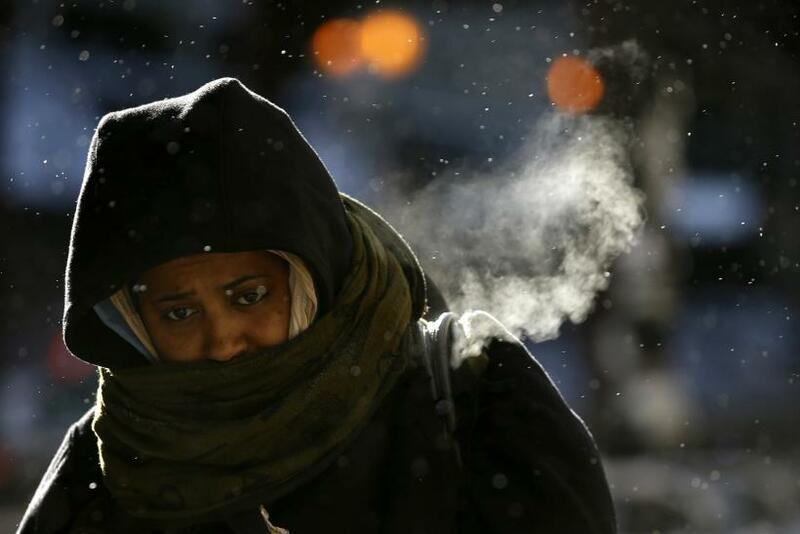 This broke the 12-degree record that was set in 1884, reports the Associated Press. 7. Detroit witnessed an extremely dramatic drop in record lows. The previous low of -5 was smashed by an impressive 9 degrees, moving to -14 degrees. 8. Greensboro, N.C., also witnessed a major drop in its record low temperature, going from a previous record of 14 degrees to 5 degrees. 9. Knoxville, Tenn., dropped four degrees to set a new record low of 2 degrees. 10. With a low of 14 degrees, Mobile, Ala., also saw its previous record of 18 broken. 11. The crisp air of the New York City hit 4 degrees in Central Park on Jan. 7, obliterating the record for that day that had stood for 118 years. NBC News also reports it was the coldest at any time since January 2004. 12. Philadelphia saw a new low of 4 degrees. The previous record low was 7 degrees. 13. Raleigh, N.C., set a new record low of 9 degrees. This was a hefty 6-degree from the previous record low for the day of 15 degrees. 14. Roanoke, Va., saw a record low of 2 degrees. The previous record for the day was 10 degrees. 15. Toledo, Ohio, also saw a dramatic drop in record its record low for the day, moving from -6 degrees to a chilling -14 degrees.